Good hydration is essential to optimal health, fitness, weight loss and energy. Join us with guest, Dr. Dana Cohen, author of Quench, as she takes us through how much to drink, other ways we can hydrate and how to maximize the health benefits of hydration. Our guest for this discussion is Dr. Dana Cohen. In private practice for 20 years in NYC, she trained under the late Dr. Robert Atkins. She earned her MD from St. George’s University School of Medicine and completed a three-year internal medicine residency at Albany Medical Center. She has been the program director for ACAM (The American College for the Advancement in Medicine) where she created the biyearly symposiums on cutting edge integrative medicine topics. She currently is the director of medical education for ACAM and serves on the Scientific Advisory Board for the Organic and Natural Health Association. 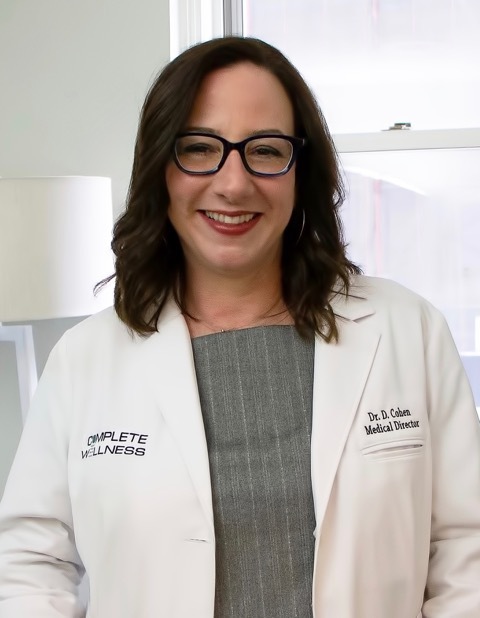 Dr. Cohen’s passion for Integrative Medicine stems from her belief that medicine is an art, and a patient-centered, holistic approach is the vital first step on the path to overall health and wellness.